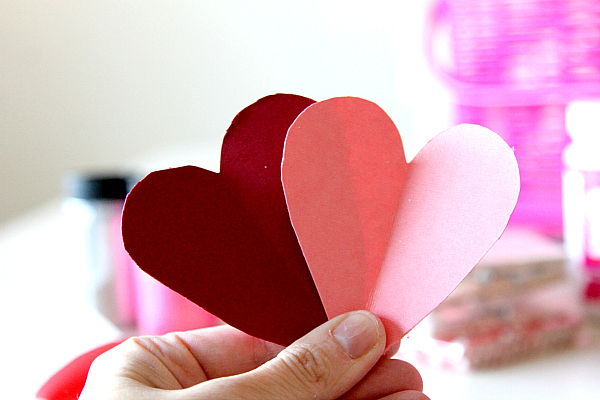 This weekend Charlotte and I spent some time concentrating on making fun Valentine’s Day crafts and I wanted to share some fun ideas that are easy to make and generally from materials you already keep in your craft supply bucket. 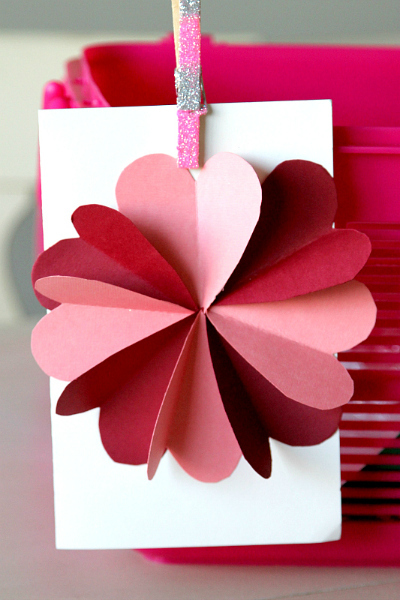 It’s a DIY Flower By Hearts Card Tutorial! Kidding. We both know if you have a kitty, it’s already up in your biz-ness the minute the glitter shows up. Kinda like a 2-year-old. Can be hard to find this size in craft stores! Cut out your hearts or use a heart punch ! 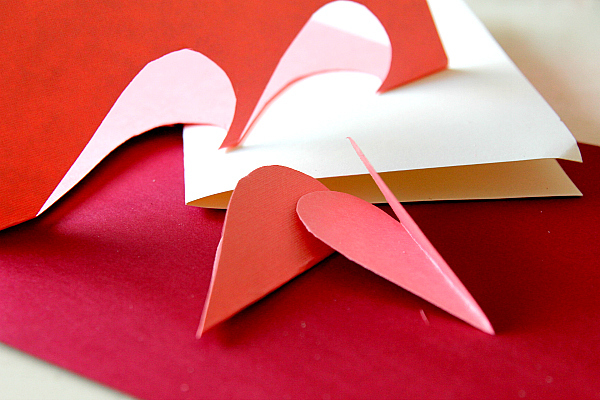 I do this by folding my paper in half and cutting the heart on the folded line so they are all perfect. What was funny was that my daughter had never seen this before! I didn’t realize that I had yet to teach her how to make perfect hearts, so we had a fun little lesson. I also lined up my first heart with the other ones so they were all (mostly) the same size and trimmed any excess. We used 8 hearts overall, but feel free to use as many as you want! If you are working with a really young child that needs more guidance, I have created a heart printable that you can use. Just print (make sure it’s you click fit to page so the print is adjusted to your computer) and have your kids cut on the lines instead. 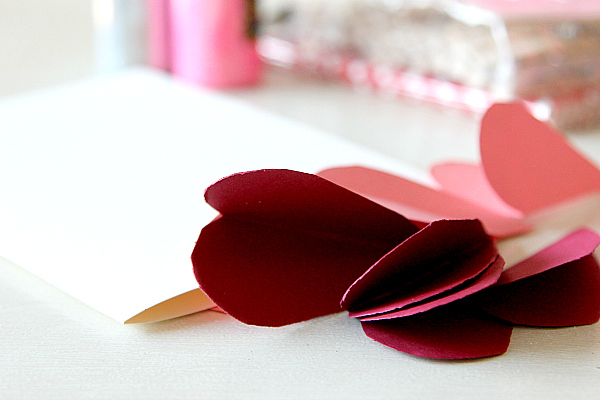 Pretty soon you are going to have a pile of cute little paper hearts. Now you are going to lay all your hearts down and secure them on one side with the points of them facing in. As you go around you can adjust so it starts to look like a flower. Think about the hearts laying into each other like book pages. 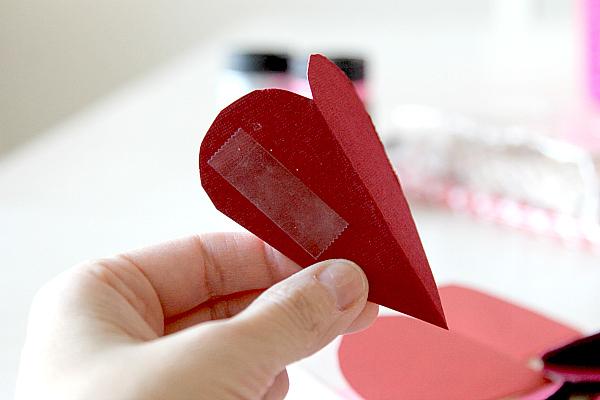 I used double sided tape in order to secure my hearts, which made it easy and less messy to adjust as I went around. 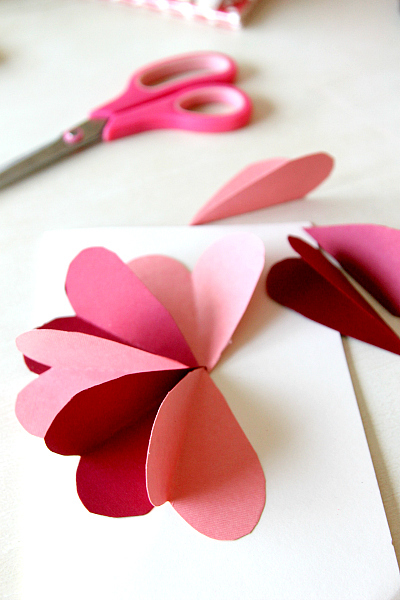 Tip: Although in my pictures I started on the top hearts, my tip would be to start on the two side ones to make sure your flower was symmetrical. Work your way around and adjust as you go…keep the tips pointed in. A beautiful flower made of hearts! 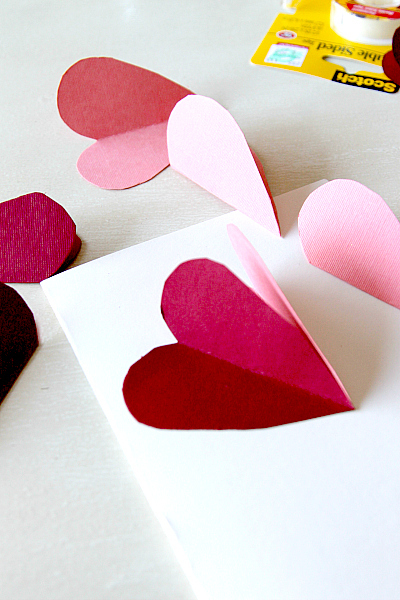 It’s perfect for daddy, mommy, grandma, or anyone you know that needs a homemade Valentine in their life! We really enjoyed doing this craft this weekend and hope this is an easy fun one for you to work with on supplies already in your home. 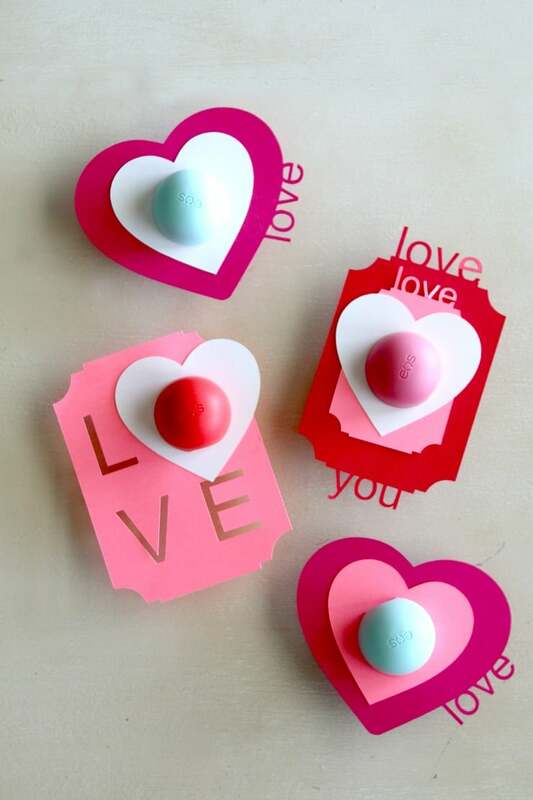 Don’t forget to keep up with my Valentine’s Day craft page all month long as I will be adding many more kid-friendly activities! 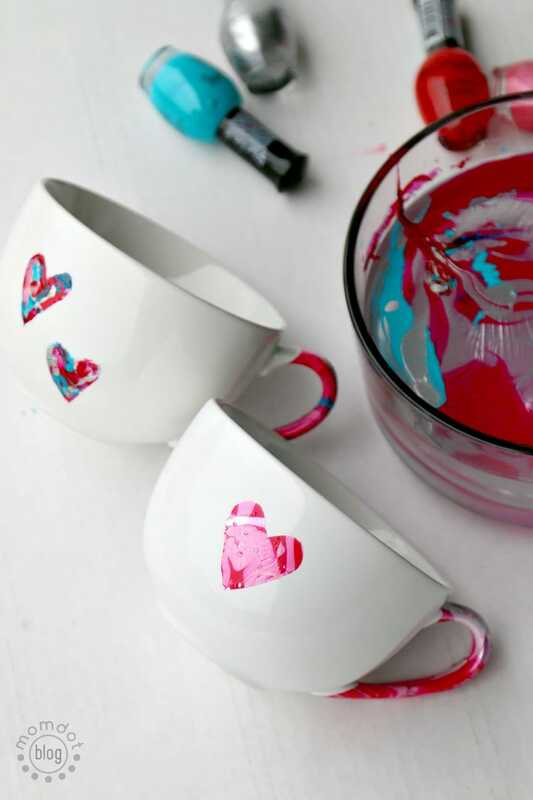 Check out these quick crafts right now! “You’re My Main Squeeze” Printable Valentine. 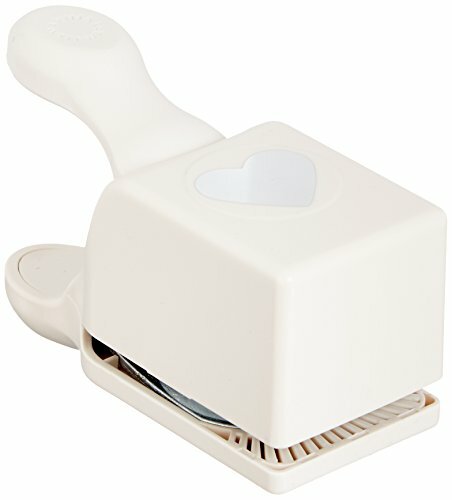 I’d love to have the heart printable? I don’t see where to find it. Can you help? 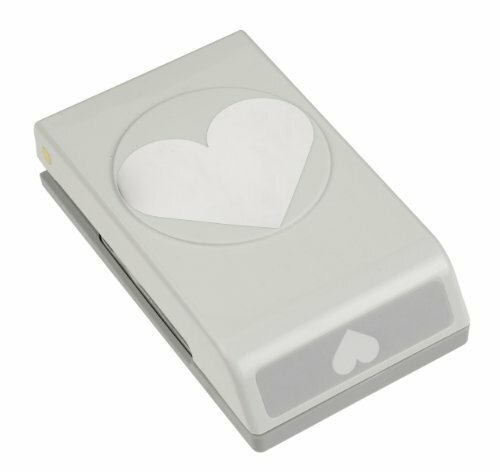 What a great idea for all those hearts kids love to cut out! So pretty and simple to do! This is lovely & I love not having to buy a bunch of supplies. Oh I love this! This gives me ideas for any holiday. Thanks Trisha! This turned out so super cute! I love that its a craft that I could probably handle doing! Neat idea! 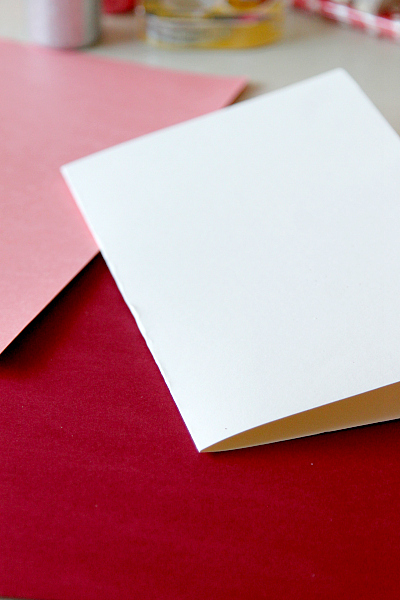 I love making and receiving handmade Valentine’s Day cards. I made my first Valentine’s Day cards for my fellow school mates in the 3rd grade. That is so simple and cute. I’m not a super crafty person but I think I could definitely help the kids with this. Its super easy! Charlotte and I did a handful of easy to create valentines this weekend. Thanks for stopping by!! That looks so simple and cute. I love it! This is so cute and easy. I might have to make some of these with Hannah. 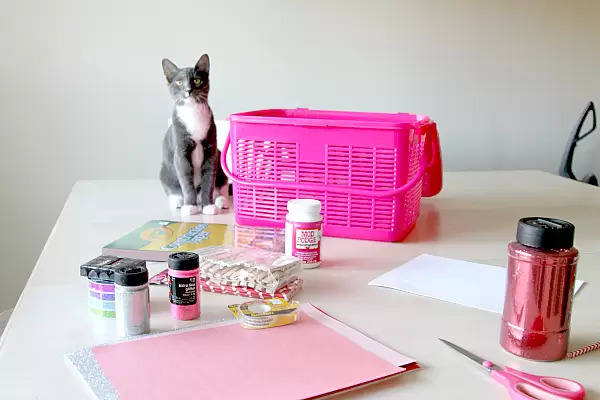 She loves arts & crafts, this is perfect! It is super easy! You can do this for any holiday really…just change up the colors.